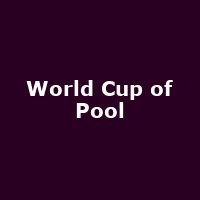 "After four years in Manila and two in Rotterdam, the eighth annual World Cup of Pool will be making a welcome return to UK shores when it takes place at the historic York Hall, Bethnal Green in London from 17th to 22nd September. 32 two-player teams representing 31 countries will be competing at a venue that has gained a place in pool folklore following a 16 year association with the Mosconi Cup. With a $250,000 prize fund to play for and two teams representing England, there will be plenty to shout about at the East London pool mecca. The event will be played to a single elimination format over six days with two sessions a day. In addition to the home nation and defending champions, all of the strongest countries in world pool will be sending teams and that includes the Philippines, Holland, Germany, China, the USA and Taiwan."